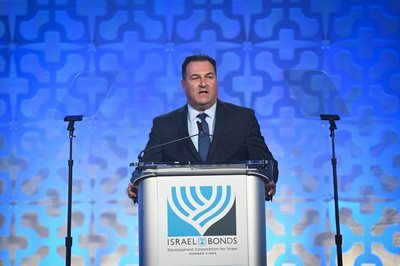 On December 31, Development Corporation for Israel/Israel Bonds closed the books on 2017, with U.S. sales exceeding $1.112 billion. For the fifth consecutive year, worldwide investments eclipsed the $1 billion mark. 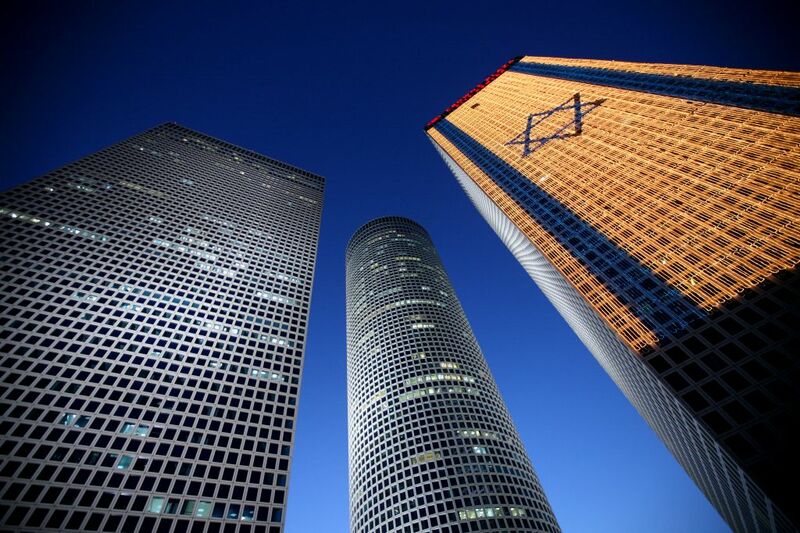 Additional sales came from Canada-Israel Securities, Limited/Israel Bonds Canada and from Development Company for Israel (International) Ltd., which sells Israel Bonds in the United Kingdom, France, Germany, Mexico and Brazil. 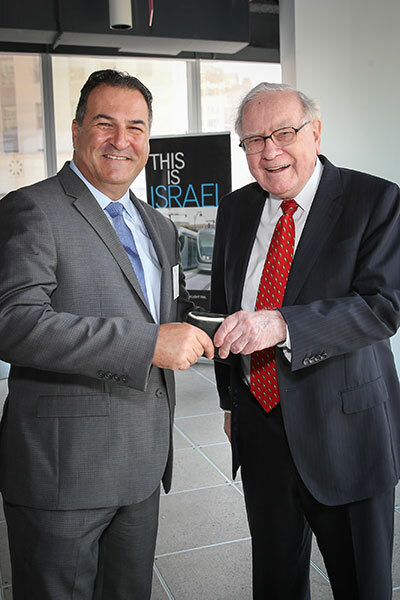 Since the first Israel bond was issued in 1951 total global sales have exceeded USD $41 billion. 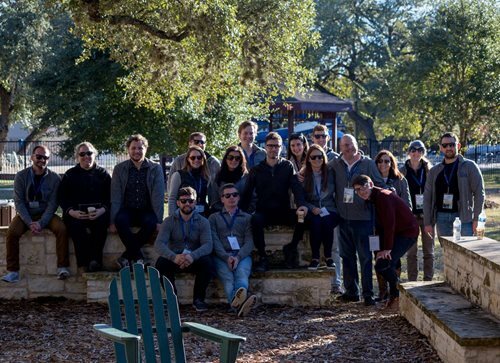 In its lasting mission to ensure the prosperity of the Bonds organization and secure the next generation of bondholders, Israel Bonds New Leadership Division brought young investors from seven countries across three continents to Camp Young Judaea in Wimberley, Texas and to Austin, Texas for its inaugural Bonds Bootcamp. Participants came together to meet fellow New Leadership members and to learn from Israel Bonds senior leadership and staff about ways to become more involved with the organization and to expand their knowledge on the importance of investing. Over an extended weekend beginning on Friday, December 8, participants heard from guest speakers: Texas Land Commissioner George P. Bush; Israel’s Ground Forces Attaché to the US, IDF Col. Yaron Beit-On; as well as JSwipe | mllnnl founder David Yarus. The group networked with guests, Regional and National New Leadership Council members and Bonds leadership and staff as they attended panel discussions and social gatherings together throughout the weekend. 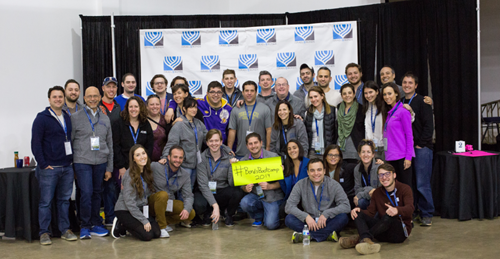 The three-day program was jam-packed with thought-provoking seminars and engaging workshops which focused on strengthening one’s connection with Israel and understanding how to serve as influential young leaders in their respective communities to encourage Bond participation. 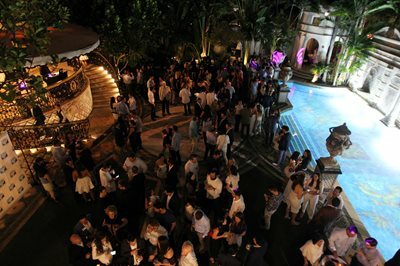 In addition, renowned mentalist Guy Bavli performed one evening and another evening was spent in Downtown Austin for a night of “Social Spirits and Mixology” including Israeli and Texan inspired cocktails. 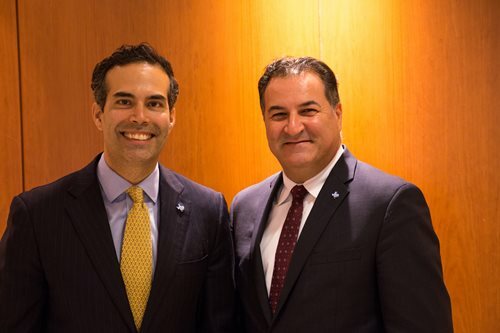 More than 40 young professionals joined Israel Bonds staff and lay leaders at the inaugural retreat, which commenced with a National New Leadership Council meeting followed by keynote speaker Texas Land Commissioner George P. Bush addressing the group. Israel Maimon, President & CEO of Israel Bonds, introduced Commissioner Bush, remarking that he had the opportunity to meet Commissioner Bush’s uncle, 43rd U.S. President George W. Bush while serving as government secretary for prime ministers Ariel Sharon and Ehud Olmert in Israel, and that Israelis regard former President Bush with great respect as he was a firm advocate of Israel and supporter of the Bonds organization. 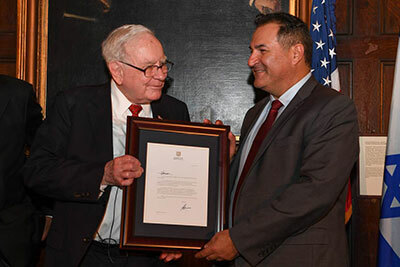 Commissioner Bush spoke on his personal connection to Israel, and, after visiting last year, decided to publish an article about his journey to motivate Texans and people around the world to stand for Israel and support the nation’s extraordinary achievements. As the Sabbath started during the delegation, prayer services led by Rabbi Zvi Drizin of Dallas accompanied by Shabbat dinner were held over an evening of informative discussions which guided the group to learn more about means of inspiring their communities to participate in Bonds events and to join in endeavors of New Leadership members in spreading awareness. New Leadership Council members Teri Herbstman of Chicago, Albert Rubinsky of Boston, Vice Chair of National New Leadership Jason Langsner, along with National Campaign Advisory Council Chair Kenny Goldberg and Women’s Division Chair Shira Lewis, participated in a panel to educate new members on how Israel bond investments are essential to the growth of Israel’s economy and how increasing the number of bond investors is critical to the fortification of the Jewish nation. 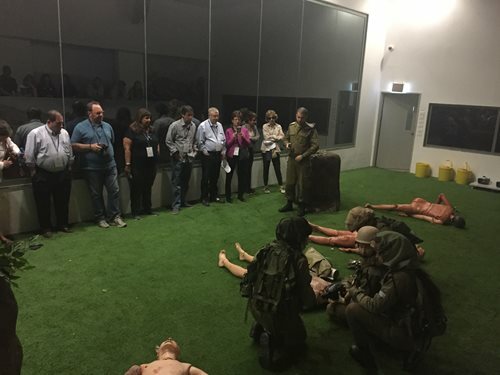 The next day marked a series of further breakout sessions and guest speakers, in which attendees gained added perspective through the eyes of IDF Col. Yaron Beit-On. They also learned about maneuvering through the hurdles of Jewish millennial dating with founder of JSwipe | mllnnl David Yarus. After an enjoyable day re-living their younger years on the campgrounds of Camp Young Judaea, participants celebrated Havdalah and prepared for a night out in Downtown Austin followed by the quintessential campfire amongst new friends. 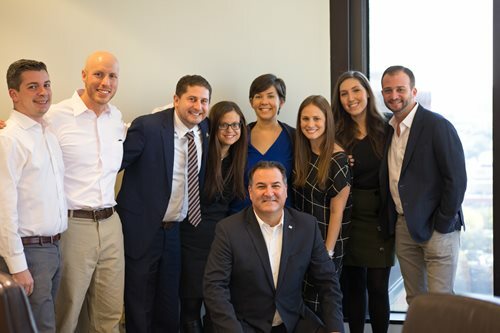 On the final day of the program, participants heard from National New Leadership Chair David Matz, Board member Jason Schwartz, in addition to Associate Director of New Leadership Rachel Fertel, as well as other speakers about the importance of continuing the Bonds mission upon returning home. Presenters emphasized that no size group is too small to propagate the goals of the Bonds organization or to embrace one’s love for Israel. Through the New Leadership Division’s Bonds Bootcamp retreat, it is anticipated that many of the delegates will serve as a guiding light in their individual communities to empower those around them with knowledge about the significance of investing in Israel bonds, what it means to support Israel’s economy and the people of Israel, and to further deepen their connection and pride in the State of Israel. 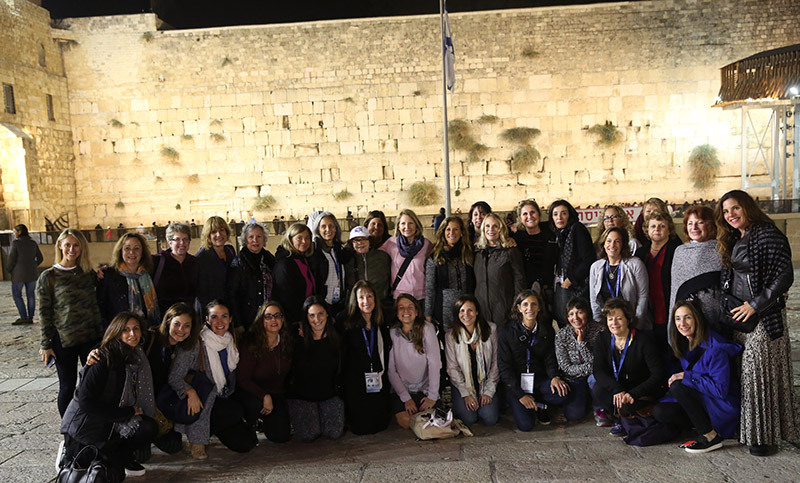 Forty women from cities spanning across the United States and Canada embarked on a rewarding journey throughout Israel on the Israel Bonds National Women’s Division Delegation which took place October 29-November 2, 2017. 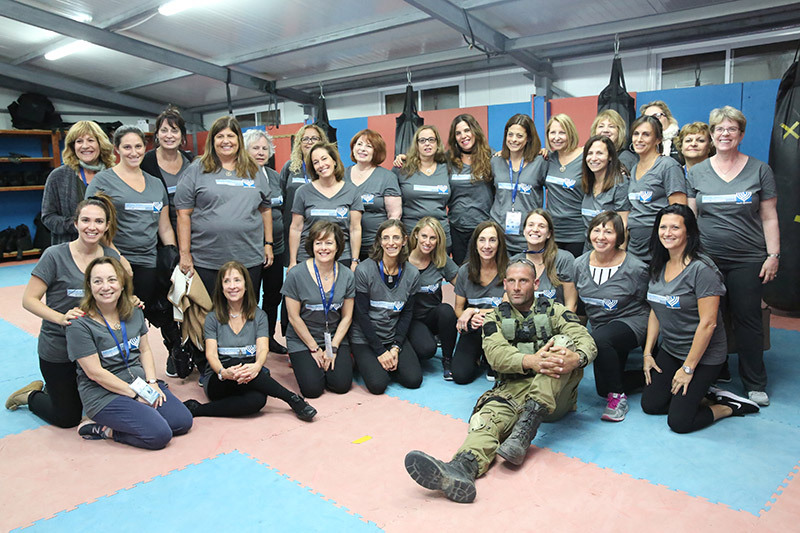 The delegation marked a uniquely memorable experience for all, as attendees gathered to strengthen their connection with Israel and celebrate the vigor of Israeli women and their contribution to Israeli society. 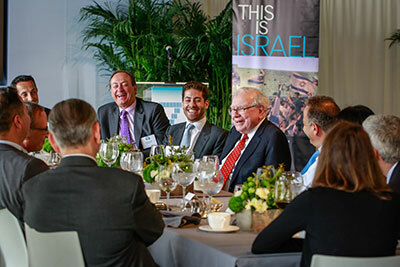 Delegates witnessed first-hand how Israel Bonds plays an integral role in enhancing the nation’s economy, as well as in the vibrancy and legacy that makes Israel such a distinctively special nation. Participants met with notable women in hi-tech such as Dr. Eleonora Shkolnik, Executive Director of Ariel University, Nili Goldstein-Davidowitz, the founder and CEO of DAAT software company, as well as MK Sharren Haskel, the youngest member of Likud and the second youngest member of the 20th Knesset. 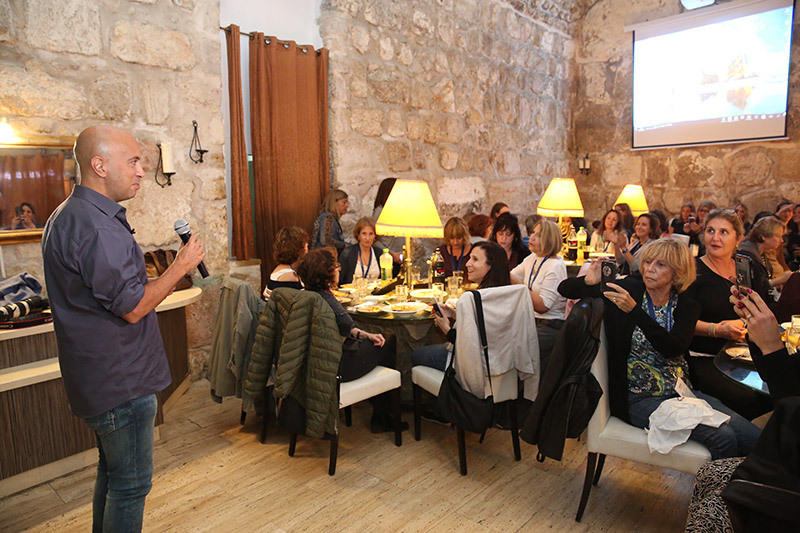 Alona Barkat, Israeli businesswoman and owner of the soccer team Hapoel Beer Sheva also met with the group, and Nathalie Mimoun, Honorary Consul of France in Israel welcomed the women to her home for a gourmet meal and evening of dancing, art and culture. Additional meetings included Mariuma Ben Yosef, founder and CEO of Shanti House, a home for youth at risk which has helped more than 46,000 young people, as well as an afternoon with Dalia Rabin, the daughter of Israeli Prime Minister Yitzhak Rabin z’l after a comprehensive tour of the Yitzhak Rabin Center. 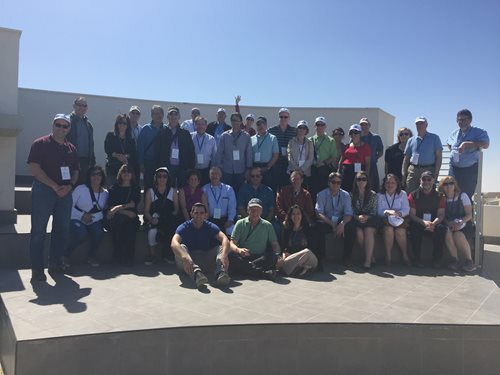 Delegates enjoyed visiting revered sites such as the Kotel, navigating through the Western Wall tunnels, taking an educational tour of the Knesset, and walking through the newly established National Hall of Remembrance on Mount Herzl which recognizes more than 23,000 fallen IDF soldiers and displays their names in bricks in a commemorative 60-foot wall. 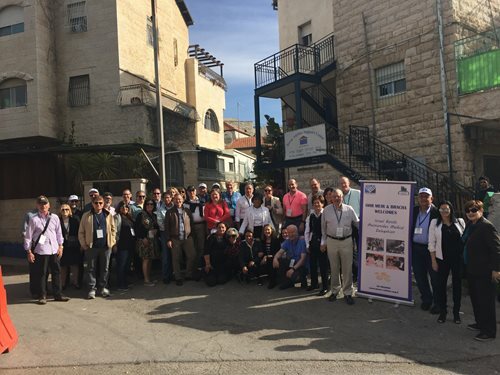 Throughout the years, Israel Bonds has made a firm commitment to connect members of the National Women’s Division to the State of Israel and encourages them to strengthen their ties to their heritage though Bonds-sponsored regional events and voyages to the Jewish nation. In a new blog highlighting the strength and resilience of Israel’s economy, Israel Bonds President & CEO Israel Maimon noted that Maryland recently became the latest state prohibiting business with companies supporting the Boycott/Divestment/Sanction (BDS) movement. Nearly half of all U.S. states have now passed legislation or signed executive orders with the same objective. We congratulate our colleagues in the United Kingdom for their inspiring Balfour 100 Campaign. November 2, 2017 will mark a date of great significance to the State of Israel and Jews around the world; on this day 100 years ago, British Foreign Secretary Lord Arthur James Balfour composed an historic letter to Baron Lionel Walter Rothschild, prominent leader of the Anglo-Jewry community, expressing the British government’s support for a Jewish homeland in Palestine. As Britain’s uncertainty grew regarding the fate of Russia, a significant ally in the First World War deeply saturated with citizens of the Jewish faith, parliament and the British public’s recognition and support of the Zionist movement became an eminent priority. Since the United States had only joined the allied forces months before this momentous day, American troops en masse would not seize European territories until the following year. Additionally, newly-elected Prime Minister David Lloyd George was a firm advocate of Zionism, a movement driven in Britain by Chaim Weizmann, a Russian-Jewish chemist, in which together they, along with British officials, believed that increased endorsement of the Zionist effort in the form of an officiating document would help to solidify the position of neutral countries such as the United States and Russia where heavy anti-Semitism ensued. Moreover, Lloyd George had envisioned British occupancy in Palestine to serve as a terrestrial entrée to vital trade resources in India and Egypt, and achieving this goal would be realized through the establishment of a Zionist nation while gaining the approval of a global Jewish society. 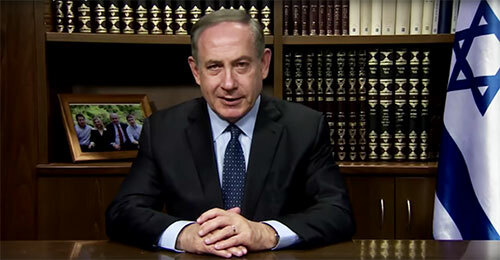 In Balfour’s letter to Lord Rothschild, avid Zionist and friend of Chaim Weizmann, his reverberating statement revealed: “His Majesty’s Government view with favor the establishment in Palestine of a national home for the Jewish people, and will use their best endeavors to facilitate the achievement of this object, it being clearly understood that nothing shall be done which may prejudice the civil and religious rights of existing non-Jewish communities in Palestine, or the rights and political status enjoyed by Jews in any other country.” This letter became known as the Balfour Declaration and was the first of three major milestones leading to the rebirth of the State of Israel. Three decades later, following the aftershock of World War II and horrific acts of the Holocaust, widespread support for Zionism grew at a sweeping pace. Finally on November 29, 1947, the United Nations voted for the partition of Palestine, the precursor to the declaration of Israel’s independence just six months forward. 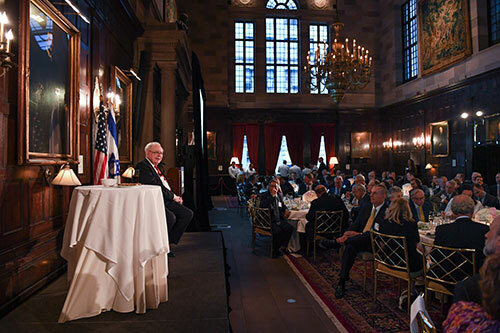 One hundred years to date, Lord Balfour’s illustrious letter to Baron Rothschild lives on, as the people of Israel and Jews worldwide take pride in the birthplace of their Jewish heritage and its phenomenal achievements. Israel’s rapid evolution as a nation is exemplary and its progression to a technological powerhouse serves as a model to be revered. 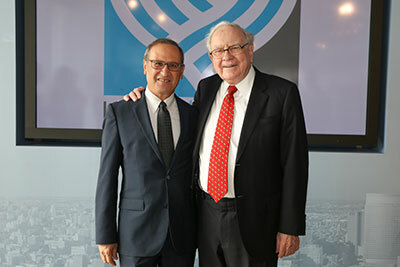 Through support from institutional and individual Israel bond investors alike, the Israel Bonds organization is fortifying Israel’s economy and continuing the legacy that Lord Balfour envisioned when he penned this monumental declaration over a century ago. WASHINGTON - Israel's improved economic growth and efforts to rein in spending prompted Standard & Poor's to raise the outlook on the country's debt profile, the credit rating firm announced Friday. While S&P held Israel's debt rating stable at A+, it improved the outlook to "positive" from "stable," which means it could raise the grade a notch in the next two years, the company said in a statement. The agency praised the government for "measures that restrain future expenditure growth" which in turn "could enable the government to resist ongoing spending pressures," even amid recent tax cuts. "The rating action reflects our opinion that Israel's improved fiscal framework and strong economic growth could enable further progress on fiscal consolidation over the next few years," the agency said. That progress would be even more likely if Israel sees stronger economic growth, S&P said, noting the country's "remarkable" economic performance since the 2008 global financial crisis. The economy grew four percent last year and is expected to expand by 3.1 percent this year. "We could raise our ratings in the next 24 months if the government makes further progress in lowering the public debt burden as a percentage of GDP" from the current 62.1 percent, the agency said. returns . . . I think it's an excellent choice." 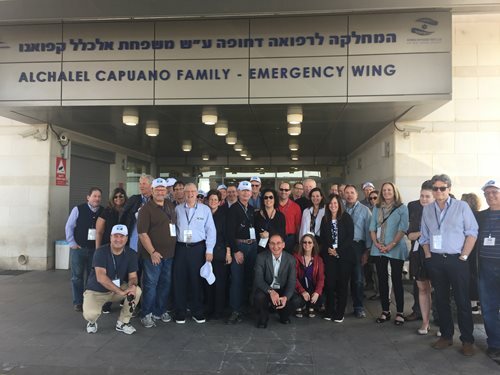 From March 5-9, 24 physicians, many accompanied by spouses, spent an exciting four and a half days touring Israel from north to south as members of the 5th Israel Bonds Maimonides Delegation. I was proud to co-chair the delegation with Dr. Burton Herbstman. We began at the Elma Art and Music Resort near Zichron Yaakov, where we were welcomed by Bonds President and CEO Israel Maimon. The next day, we explored the north, beginning at Kfar Tikva, a kibbutz for mentally challenged adults, meeting with many residents and the management team.The entire community embraces the residents, many of whom work at local businesses. We then proceeded to the Tulip Winery, after which we traveled to the Poriya Medical Center, viewing its state-of-the-art emergency room and underground hospital for use in case of missile attacks..The doctors then broke into groups to meet with their peers, based on specialty. The chairman of orthopedics was an Israeli Arab, who introduced the orthopedic surgeons in our group to a patient from Syria suffering shrapnel injuries to one leg and a below-the-knee amputation on the other. He was awaiting fitting for his prosthesis and seemed very appreciative of the care he received. We completed our tour of the north by meeting with IDF Colonel (Res.) Kobi Maron of the Golani Brigade in the Golan Heights. Tuesday was spent in Tel Aviv, viewing the medical simulator at Tel Hashomer Sheba Medical Center and attending the MEDinISRAELl convention to see new medical hi-tech innovations. The delegation's clear highlight came at Halutza, a true pioneer community just 450 yards from the Egyptian border and only a few miles from Gaza. We saw the brand-new medical center that will provide basic medical services for the community, thus avoiding traveling over an hour to Beersheba for treatment. We also saw the community’s hi-tech farming, which is not only turning the desert green, but also creating a successful agricultural hub growing many different fruits and vegetables. Additionally, there was a yeshiva in Halutza for children with ADHD who work the fields in the morning and attend classes in the afternoon. The trip ended in Jerusalem, where we packed Shaloch Manot baskets at Ohr Meir and Bracha, an organization supporting over 400 families who were victims of terror. We then proceeded to Hala: the Rachel Nash Jerusalem Comprehensive Breast Clinic, to view state-of-the-art breast cancer detection and screening, where women can get testing, and, if necessary, a biopsy done in a single day. While at Hala, we had the honor of meeting with Health Minister Rabbi Yaakov Litman. Following the closing dinner, the group dispersed, some to return home and others to enjoy a few extra days in Israel. Great bonding experiences were had among the participants, all of whom pledged to share the story of this great country. 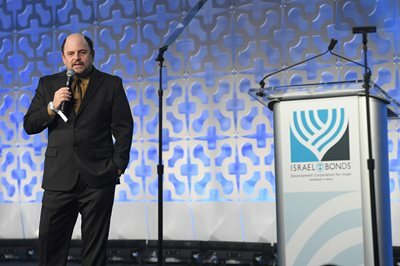 The weekend culminated with a gala dinner paying tribute to 13 honorees from the U.S., Canada and Mexico, which was emceed by Seinfeld’s Jason Alexander and attended by over 600 people. 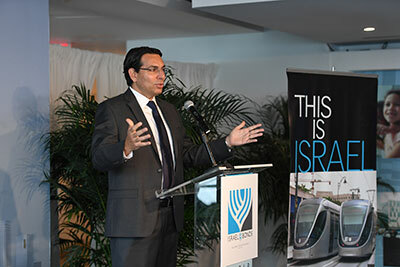 Israeli dignitaries participating in the International Prime Minister’s Club Weekend included UN Ambassador Danny Danon; Consul General of Israel in New York Ambassador Dani Dayan; Consul General of Israel in Los Angeles Sam Grundwerg; and Consul General of Israel in Florida Lior Haiat. 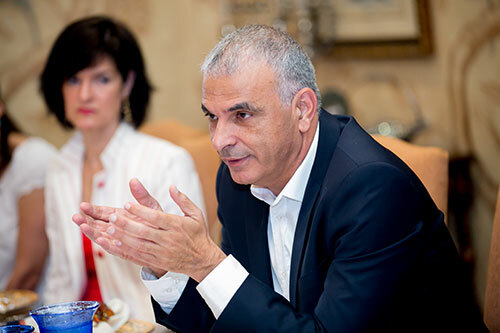 The Finance Ministry was represented by Director General Shai Babad; Deputy Accountant General Yali Rothenberg; and former accountant general Michal Abadi. Two additional honorees, Alan Kantrowitz and Richard Ziman, both of Los Angeles, were unable to attend. 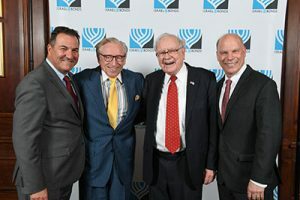 Sales announced that evening – encompassing individuals who had invested in Israel bonds, invested that night or indicated an intention to invest- totaled $260 million. When David Ben-Gurion (pictured below) stood before a packed house at New York's Madison Square Garden to launch the inaugural issue of Israel bonds, even the visionary prime minister could not have foreseen the extraordinary success of the new venture. In January, Israel Bonds surpassed $40 billion in worldwide sales since the first bonds were issued in 1951. The momentous accomplishment was the second milestone for the Bonds organization in less than three weeks - on December 31, U.S. sales for 2016 ended with an all-time high of more $1.127 billion. A poster announces David Ben-Gurion's appearance at New York's Madison Square Garden for the launching of Israel Bonds. Even the visionary prime minister could not have foreseen the extraordinary success of the new venture.